An Already Strained Electric Grid: The model of “efficiency before safety” has prevailed in many of the utilities industry’s business plans since they are answerable FIRST to their stockholders and not the American people. Our bulk power distribution system (i.e. “electric grid” or “grid”) is a “just in time” system and relies on supply being carefully balanced with demand. It is possible to disrupt power and/or destroy large high voltage transformers and control systems (SCADAs) by “throwing out of balance” the supply (i.e. capacity) and demand (i.e. load) in the grid. If the capacity to generate, transmit, and/or distribute power goes “off line” for any reason in one section of the grid, power has to be “adjusted” to and from other geographical locations. Regardless of the location or source (i.e. man-made or natural cause), our bulk power distribution system is already frequently near or at capacity in many sections of the U.S. on a typical day. The “Big One” Has Yet to Happen: Thus far in our modern history, we have not yet had an event of large enough scale that our bulk power distribution system has not been able to compensate by “shifting” power to and from distant geographical locations to keep the balance between supply and demand. If enough substations are affected though, large sections of the grid can destroyed when the bulk power distribution system is not able to maintain that balance of supply and demand. Transformers across vast distances can be destroyed through the transmission lines. A useful analogy would be the Titanic; a few small holes would not have sunk the Titanic but one unmitigated, massive event tipped the balance and caused catastrophic consequences. Once started, it couldn’t be stopped. History is a fine teacher if we listen. 2003 Northeastern Blackout: In 2003, the largest blackout in North American history started from a tree branch touching a power line in Toledo, Ohio and cascaded (i.e. spread) in minutes to seven other northeastern U.S. states and eastern Canada. As many as 50 million people lost power for up to 24 hours and the blackout was attributed to thousands being trapped in subway trains and elevators, 11 fatalities, and $6 million in losses. Notable quote: “Prior to the  blackout, the North American Electricity Reliability Council (NERC) set voluntary standards. In the wake of the blackout report, Congress passed the Energy Policy Act of 2005, which expanded the role of the Federal Energy Regulatory Commission (FERC) by requiring it to solicit, approve and enforce new reliability standards from NERC, now the North American Electricity Reliability Corporation.” – Scientific American article, August 13, 2008, The 2003 Northeast Blackout–Five Years Later. For the sake of the American people, is merely ‘soliciting’ (i.e. requesting) NERC to suggest and vote on standards, a high enough expectation? No! The America people deserve regulations that put their safety and the safety of their families first. The voices of the American people are not present in the current standards set by FERC and NERC. Relationships of FERC, NERC and Washington: On the surface, the Energy Policy Act of 2005 sounds very reasonable but the problem is members of NERC have voting rights to decide which standards to approve and follow. Repeat! NERC votes on what standards to approve and follow. It is key for the American public to understand that the North American Electricity Reliability Corporation (NERC) is a group of businesses (i.e. corporation). NERC’s members give first priority to their stockholders and their companies’ balance sheets. Since 2005, FERC has approved numerous reliability standards that only address procedural policies for NERC’s dealings with “trees, training and tools”. There is a reason why key military and governmental installations have both procedural based solutions plus hardware based solutions. Mandatory hardware based solutions are needed to harden the grid to realistic standards. If the grid is really this vulnerable, why hasn’t Washington or the utilities industry addressed the issue of hardening the grid? The answer is the lobbyists of utilities industry have been working hard to down play this threat and to portray this issue as “alarmist fiction” because they are more concerned with their profit margins than the safety of the American people. Hardware based solutions cost substantially more than writing and implementing procedural plans (i.e. essentially written instructions). The pockets of the utilities industry’s lobbyists are deep and Washington has been overrun with bureaucracy. 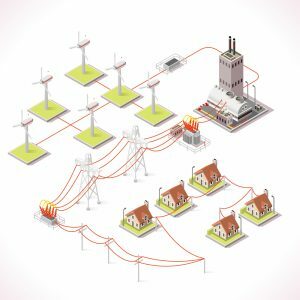 Beware of the Two “Rs” – Reliability and Resiliency: The interconnectedness of the grid makes the electrical power used in homes, businesses, and government convenient and consistent (i.e. reliable) but opens the door for major threat incidences to impact the electrical power system’s ability to recover (i.e. resilience) from wide-spread, long-term outages. The utilities often report high reliability and resiliency numbers, but truly, our modern day nation has never experienced fully what our nation’s enemies intend for us or what our sun is able to send to us. During mild winters like that of 2016/2017, the reliability measures reported by FERC and NERC are more likely to be high because of few incidences affecting the bulk power distribution system. Another factor that affects these measures is reporting of many incident categories are on a voluntary basis. Only nine categories effecting reliability and resiliency measures are required to be reported. Who’s Watching Out for the American People? : The bulk utility distribution system has NEVER had to re-start the electric grid from a “black start” when initial power is needed to produce more power (i.e. resiliency). Considering no government agency has full regulatory authority over the bulk power distribution system, let all of America hope it is truly resilient in our current state. The news outlets are often filled with reports from the utilities industry on how well the industry is doing, but NO independent party is able to verify if those statements are factual. Unlike the Federal Aviation Association and the Federal Food & Drug Administration, the bulk power distribution system is the ONLY one of 16 critical infrastructures that is NOT regulated by the U.S. government. The lobbyists of the utilities industry are steadfastly fighting because of what is at stake: the profit margins of the utilities industry. New Bills, But No Hardware: New legislative bills addressing grid security have been introduced in 2017 and are working their way through Washington to hopefully be passed by Fall. While these bills are a good start, they do not require the utility companies to install specific hardware to protect critical portions of the electrical grid. Only a combination of hardware based solutions plus procedural plans can adequately protect against man-made and natural threats. The procedural-only plans proposed by the utility companies are not enough despite what they say. There is a reason why key U.S. military and governmental installations use hardware based solutions in addition to procedural based solutions. Hardware Based Solutions: This is a very real but manageable problem. The U.S. government and industry currently have the technology to provide fairly robust hardening (protection) of our electrical grid and the cost is estimated to be less than $2 billion dollars. Estimates for significantly robust hardening are between $10-30 billion. That cost equates to less than $1 per person per year for 5 years. Currently, the civilian grid has no hardening. Progressive Actions by Other Countries: Other countries have recognized the threats to their power grids and are taking action. Britain is currently reviewing their grid for weaknesses to determine necessary actions to ensure their citizens’ safety. Sweden, due to its northern latitude, is taking steps to harden its electric infrastructure against GMD events because GMD effects are amplified by closer proximities to the Poles. Only the U.S. military’s ability to retaliate with nuclear missiles is currently hardened. Our U.S. military is 99% reliant on our civilian electrical grid and loss of the grid would make securing our homeland very difficult. Both Russia and China have stated their defense and civilian electrical grids are extensively hardened.